A couple of weekends ago I was invited to an event in Leeds with 53 other bloggers. It's not often that I get time out, especially at the weekend, so I jumped at the chance. My family and I travelled to Leeds together and then my husband took the children to see Big Hero 6 at the cinema. 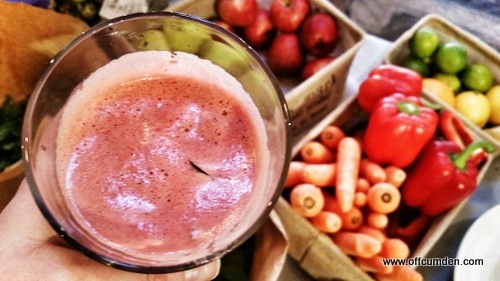 The event was an introduction to juicing, handily named Currys introjuicing. I have to admit that I hadn't ever had a juice before. I used to have a smoothie maker, and used that for many years, but I haven't ever tried juicing before. 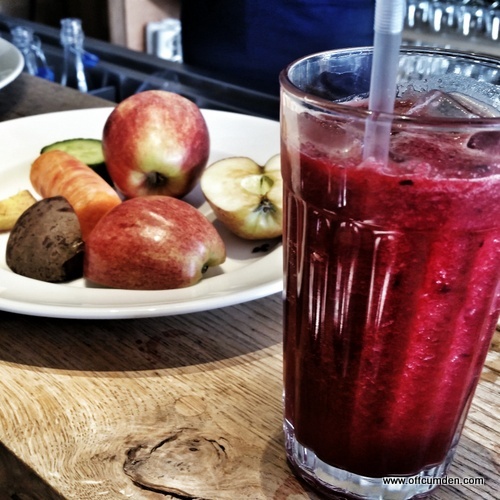 The first juice we were treated to was made purely out of the ingredients shown on the plate, two apples, beetroot, carrot, cucumber and ginger. It tasted really nice. I was impressed at the way in which the juicer separated the mush from the juice. Knowing that I was consuming all those fruit and vegetables in one small drink was pretty impressive! Next up we were challenged to create our own 'mocktail'. I opted for a mojito inspired mocktail which contained cucumber, lime, spinach, apple and ice. It was delicious, and full of goodness. 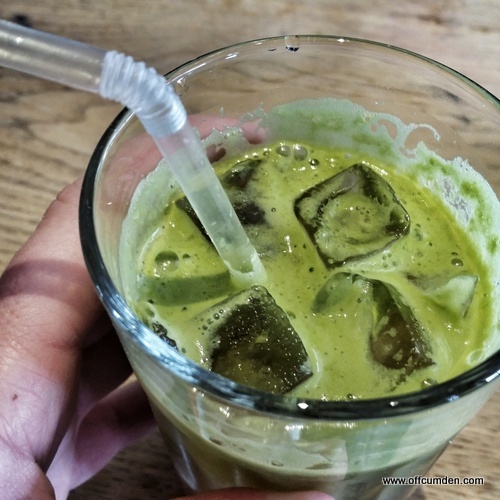 The second one I came up with was more of a savoury juice, containing coconut water, coriander, spinach, and lime. Again, it tasted really nice. The machines were easy to use and also looked simple to clean. We were also treated to a yoga session with Amanda from Yoga Elementz. I opted for the easier yoga due to problems with my back. It was really enjoyable and I very nearly fell asleep at the end of the session! Watching everyone else do Rocket Yoga, I was so glad that I had opted for the easier option as it looked like an amazing workout. Finally we learned about the nutritional benefits of juicing from Nutrishan's Shakela, and the things which you can add to a juice to make them more of a supplement to meals. I learnt a lot in this half an hour and I have already started making lifestyle changes to reflect this. I now have chia seeds on my breakfast and have started exercising every day. I haven't worked out how to make any of my current kitchen gadgets juice in the same way as an actual juicer, so I think I might have to save up my pennies for an actual juicer! Disclosure: I was invited to the event and asked to write about it but have not received any other form of compensation.